This Panigale V4 R is street legal and ready to race in World Superbike (WSBK) competition. Ducati just announced the Panigale V4 R in advance of the 2018 Milan Motorcycle Show and, as you'd expect, it's even faster and sexier than the standard V4. In a move to become relevant in World Superbike (WSBK), the Panigale V4 R is a slightly downsized version of the current Panigale V4 so that it can meet homologation requirements. Amongst many FIM rules motorcycle needs to abide, the big one that limits Ducati from participating in the race series is that bikes are required to have a displacement under 1000cc. The current Panigale V4 has a displacement of 1103cc. 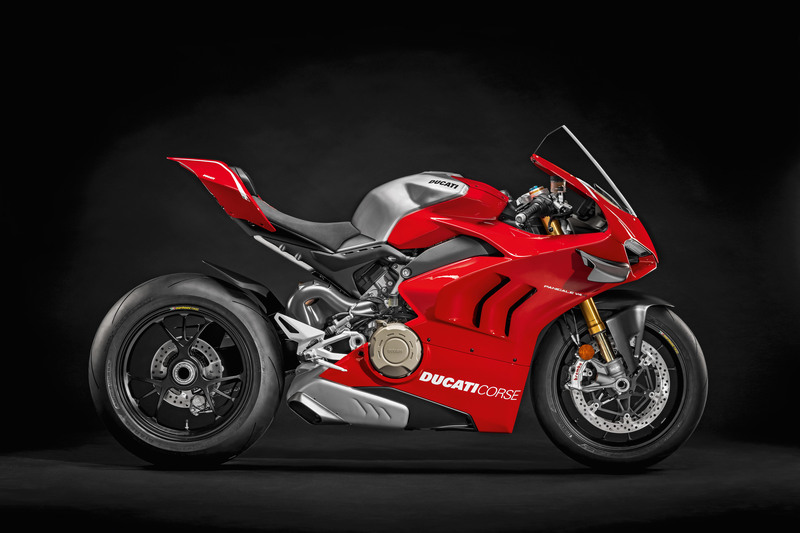 Ducati’s answer: the Panigale V4 R,'s 998cc Desmosedici Stradale R engine. 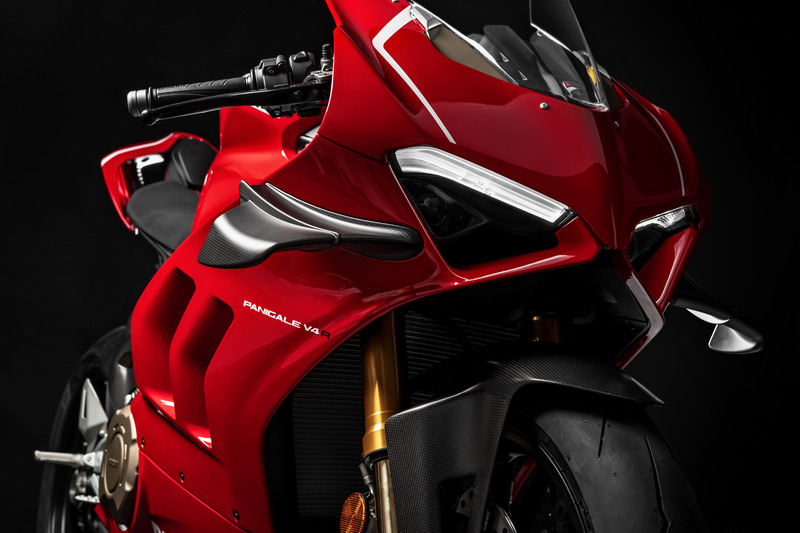 The newly unveiled Panigale V4 R boasts a claimed 221 hp and 82 foot-pounds of torque. With the upgraded Akrapovic exhaust system, the V4 R performance increases to a peak horsepower output of 234. 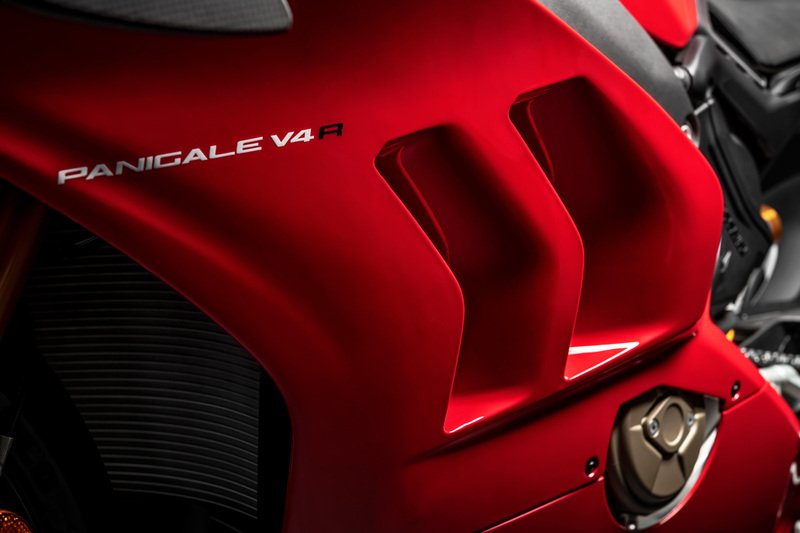 By featuring lighter internal components and greater air intake efficiency, the Panigale V4 R allows faster engine rev-up and raises the rpm red zone higher to improve acceleration. The V4 R also features race-grade Öhlins suspension with mechanical adjustment and an aluminum swingarm with an adjustable four-position pin. For additional stability and performance, the front frame has been modified to achieve the stiffness targets set by Ducati Corse. 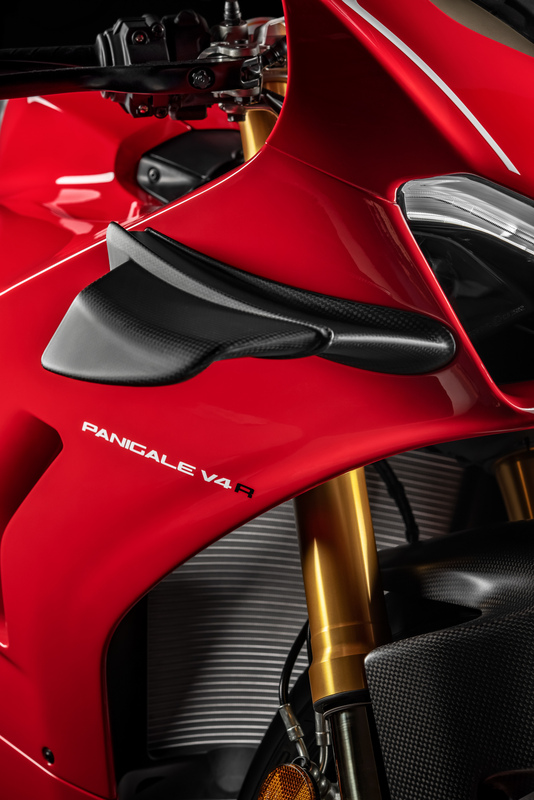 To harness the raw, unadulterated power the V4 R is capable of, the very same sophisticated electronic controls are borrowed from the Panigale V4 S and have revised threshold levels to make them more compatible with pro rider requirements. 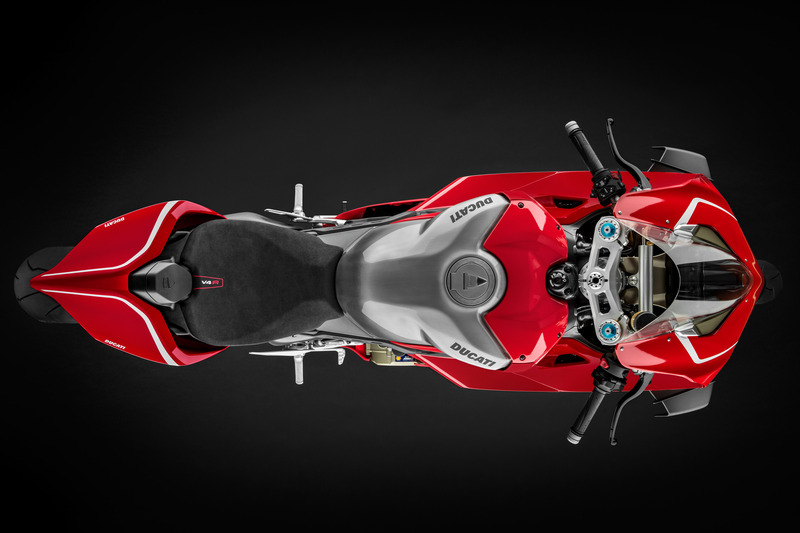 Right off the bat, you’ll notice the Panigale V4R sports a new bodywork and an aerodynamics package. 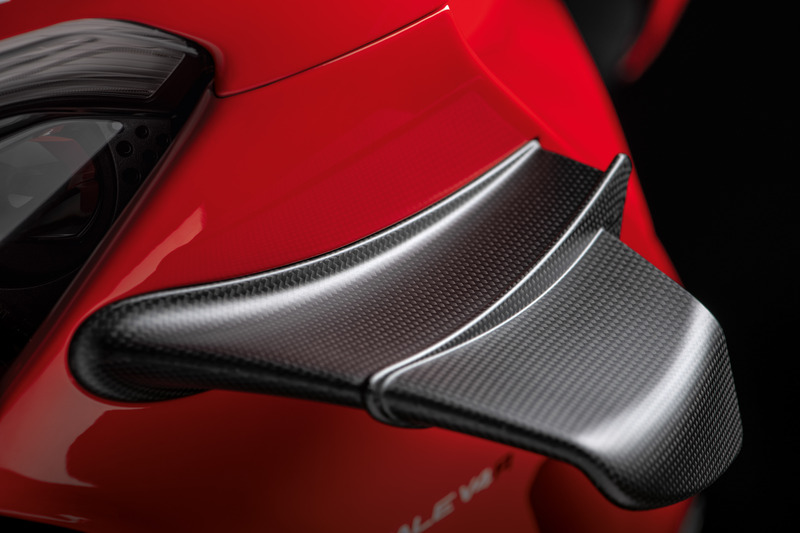 Fairings with twin gills make for better cooling and carbon fiber aerodynamic winglets increase downforce on the front end under heavy acceleration. Not only are the winglets more efficient than the ones found on the Ducati GP16, but they also provide an aggressive look that's always welcome on a track-weapon such as the V4 R.
The cherry on top of the styling cake is the unique livery. The Ducati Red offset by the brushed aluminum on the fuel tank shows stellar contrast and makes the bike even more desirable for go-fast riders. Pricing and availability for the Panigale V4 R have yet to be announced but expect an uptick from the standard V4's $21,195 base. Be sure to check out our Instagram stories this week as our man Sam Bendall @livemotofoto will be at EICMA getting all the cool shots from the show floor.